smashLAB is a creative agency with expertise in digital, brand, and advertising. We’ve operated for nearly 15 years, and have worked with groups like Tourism Vancouver, BC Film + Media, The University of Minnesota’s Institute on the Environment, and the Vancouver Aquarium. Our clients appreciate how responsive we are to their needs, and that we have no levels of bureaucracy. We build functional work for those who hire us, and establish a trust that sets us up to work together over the long-term. The responsive design of the Ensia website allows users to view the content with any device, while layouts are designed to reflect the content appropriately. 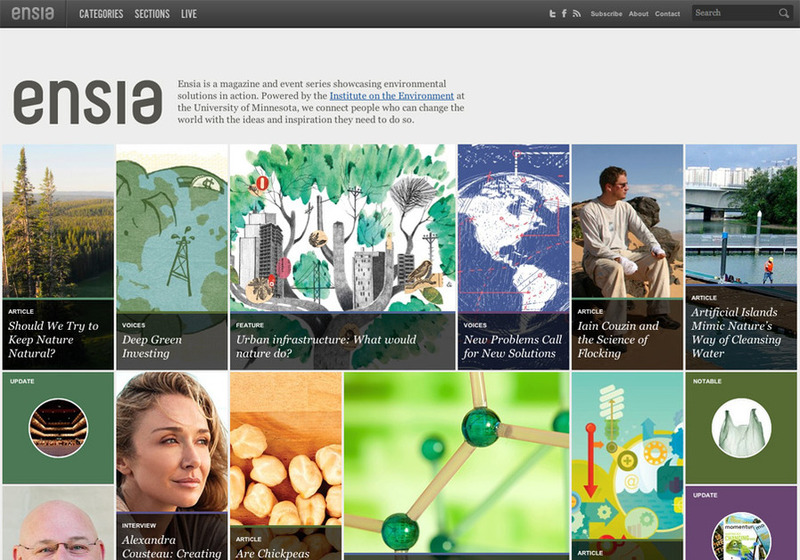 Tiles of articles, stories, and updates are highly visual and highlight the content throughout the website.